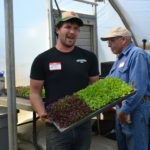 Appalachian Highlands Conservancy Community & Incubator Farm (SAHC) and one of their incubatees Second Spring Market Garden. Our tour topic focused on running a 52-week CSA. 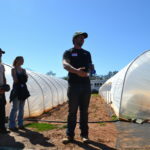 But, first Chris Link, the Farm & Food Associate at SAHC gave us a quick history of the Incubator Farm. The 103-acre family farm was donated to SAHC in 2010 and has seen several rehabilitation projects in years since, including stream restoration, native shortleaf pine reforestation, an educational 1.5-mile Discovery Trail, and the Beginning Farmer Incubator Program. 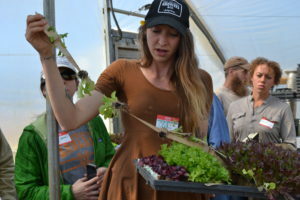 The purpose of the Incubator Program is to provide new and beginning farmers with access to land and equipment at reduced rates, and they welcomed the first two farm businesses to the land last year – Second Spring, and a herd of Pineywoods Cattle. 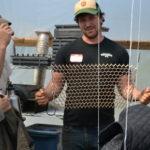 Matt Coffay & Casara Logan the co-operators of Second Spring are beginning their second season as full time farmers. 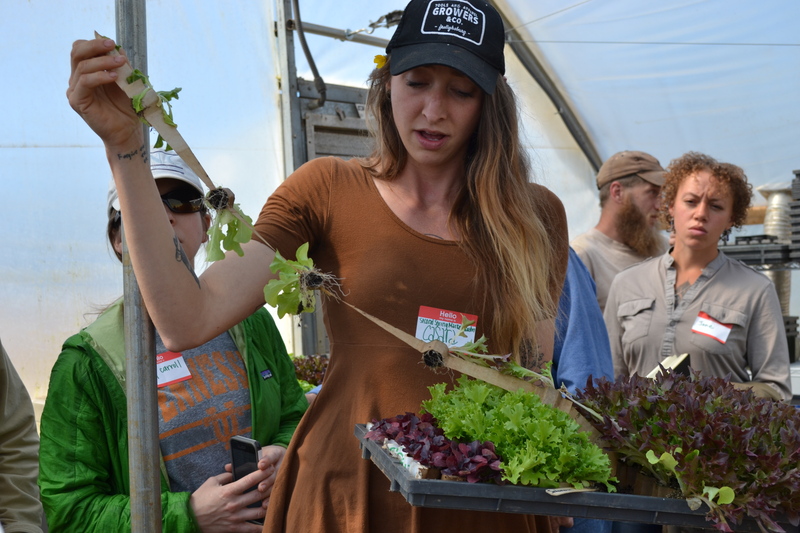 In the spring of 2015 they went from growing on 1/10th of an acre to 1.5 acres when they came to the SAHC Incubator. 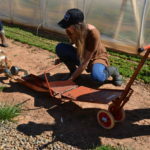 Their farming model is inspired & greatly influenced by Jean Martin Fortier’s The Market Gardener model for small scale organic farming. 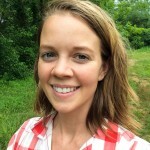 With their own careful planning, a Farm Service Agency microloan, the support of the Incubator, and lots of hard work Second Spring grossed $100,000 in their first year. Second Spring is a four person operation, three full time workers (Matt, Casara, and an apprentice), and one part time person brought in for harvest days. 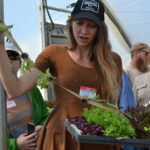 This year they have a 50 member 52 week CSA, sell at the City Tailgate Market, and have fifteen restaurant accounts where they market their produce. 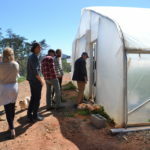 As an incubatee they have the added benefits of using two heated greenhouses, a wash station, well, and fencing which they did not need to make the initial investment on themselves, as well as mentoring & assistance from Chris as the farm manager. As Matt and Casara were getting started they took an important first step, did their due diligence and researched their marketing options. 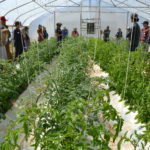 They saw a plethora of vegetable operations in the area, but did see room for four season vegetable growing and sought to make that their niche with a 52 week CSA. 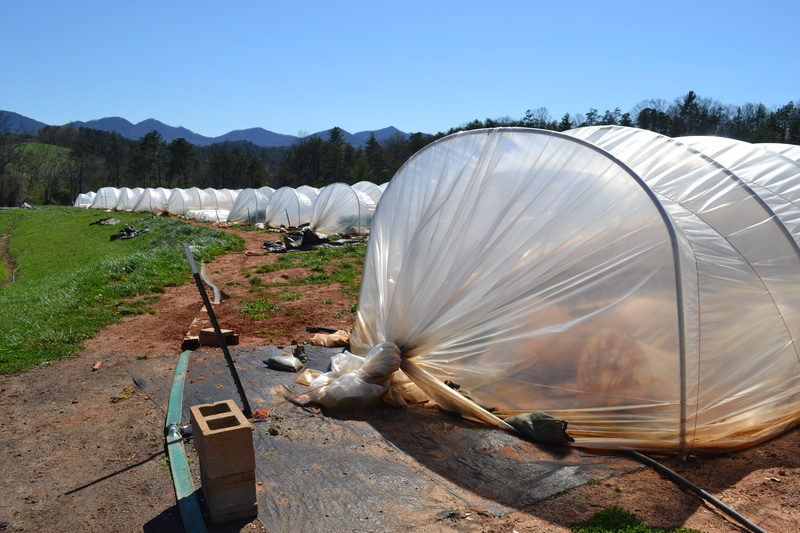 And, they’ve developed their farming systems accordingly growing intensively, and under cover through the winter. 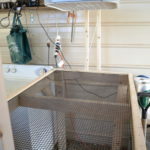 Salad mix in particular has been a productive enterprise, and they sell over 150 lbs a week. 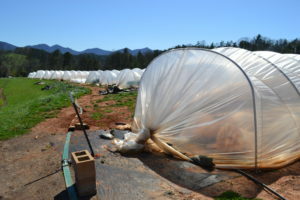 When you get to the farm in the spring it resembles a cluster of cocoons with all the caterpillar tunnels & two greenhouses lined up across the 1.5 acres. 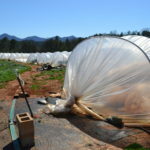 But, having all that covered growing space is critical to four season growing in WNC. That, and having land that gets plenty of winter sun. 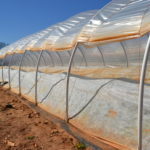 The three main tiers of covered growing they use include two heated greenhouses, unheated caterpillar tunnels, and individual row covers within the caterpillar tunnels. 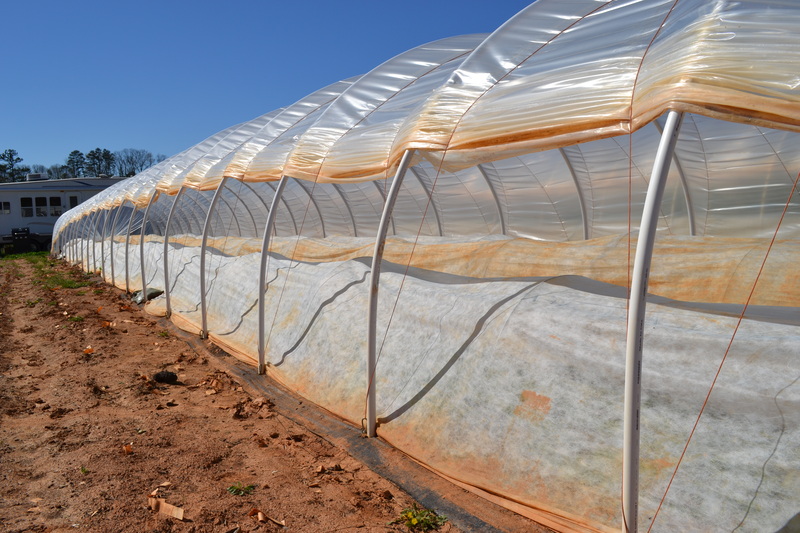 Bringing it to 20,000 square feet of covered growing space from late fall through early spring. Matt admitted that they have a love-hate relationship with the caterpillar tunnels, though. 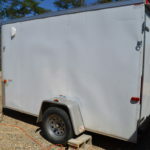 They are inexpensive, effective, and hold up to high winds and they’ve gotten an efficient system for erecting one in two hours with just two people. 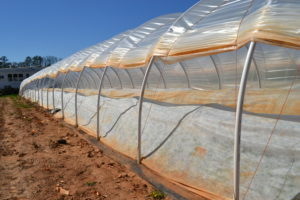 The Caterpillar tunnels can also be put up and taken down around a fully planted bed. But, they are labor intensive requiring someone to manually vent the sides pushing up the plastic along 14 tunnels every morning, and closing them every night. 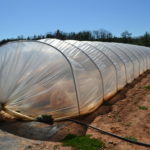 The caterpillar tunnels are a hybrid design constructed with pvc pipe that is fitted over rebar to make the bows. The rebar is driven 4 ft into the ground for the end bows, and 2 ft for the rest. 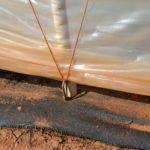 The plastic is reinforced with a series of ropes that cross between the pvc bows down the length of the tunnel. The Caterpillars are up to 3 beds wide (12ft), and spaced with two beds in between each tunnel to account for shading, and to make it easier to put them up and take them down. The beds at Second Spring are all standardised at 100ft long and 30 inches wide. 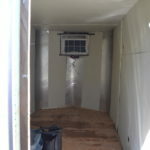 Typically, each bed also gets a row cover inside the caterpillar throughout the winter and spring. In the two heated greenhouses two successions of tomatoes were well on their way. Matt says he tries to have the first tomatoes at market if possible, and expects to have tomatoes through November. 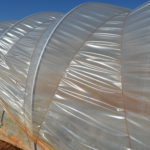 The tomatoes are trellised, the beds are covered with white plastic to reflect light back to the leaves, and keep the greenhouse cooler in the summer heat. Another tool Matt and Casara are excited about is the paper-pot planter they use to plant salad greens, among other things. If the soil has a good tilth they can plant up to 10 times faster than by hand. 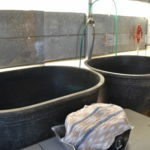 It took an initial investment of about $3500 to get started, and the yearly cost of the paper pots but since salad mix is such an important product for them it makes a lot of sense. 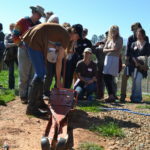 Casara gave us the rundown for how she can plant and water in a bed in 30 min with the planter. Here is a video of one in action. 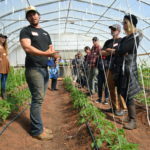 Matt & Casara will be the first to tell you that four season growing takes a lot of planning, it’s not as simple as putting plants in the ground, putting up tunnels and being done with it. It’s a complex dance of space, time, and energy and best done thoughtfully. 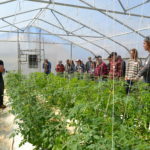 Our thanks to Matt, Casara, and SAHC for hosting, sharing their farm and honest experiences with us. Best of luck this year!